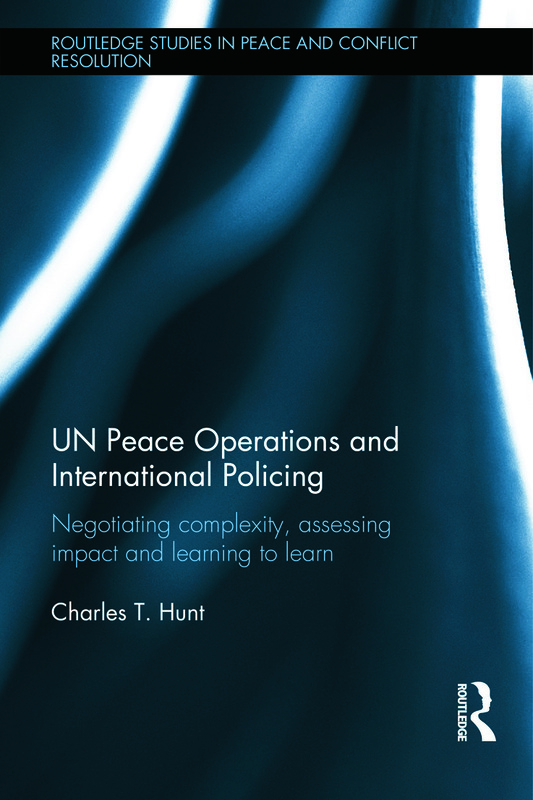 This book addresses the important question of how the United Nations (UN) should monitor and evaluate the impact of police in its peace operations. UN peace operations are a vital component of international conflict management. Since the end of the Cold War one of the foremost developments has been the rise of UN policing (UNPOL). Instances of UNPOL action have increased dramatically in number and have evolved from passive observation to participation in frontline law enforcement activities. Attempts to ascertain the impact of UNPOL activities have proven inadequate. This book seeks to redress this lacuna by investigating the ways in which the effects of peace operations – and UNPOL in particular – are monitored and evaluated. Furthermore, it aims to develop a framework, tested through field research in Liberia, for Monitoring and Evaluation (M&E) that enables more effective impact assessment. By enhancing the relationship between field-level M&E and organisational learning this research aims to make an important contribution to the pursuit of more professional and effective UN peace operations. This book will be of much interest to students of peace operations, conflict management, policing, security studies and IR in general. Charles T. Hunt is a lecturer in International Security in the School of Political Science and International Studies, University of Queensland, Australia. He is co-editor of Making Sense of Peace and Capacity-Building Operations (2010) and co-author of Forging New Conventional Wisdom Beyond International Policing (2013). The field of peace and conflict research has grown enormously as an academic pursuit in recent years, gaining credibility and relevance amongst policy makers and in the international humanitarian and NGO sector. The Routledge Studies in Peace and Conflict Resolution series aims to provide an outlet for some of the most significant new work emerging from this academic community, and to establish itself as a leading platform for innovative work at the point where peace and conflict research impacts on International Relations theory and processes.